2009 September | Affordable letterpress stationery that is artistic, charming, elegant. WOW… my human mom and dad went crazy today! 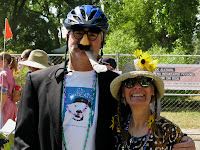 They participated in the largest bike parade, at least in Colorado, maybe the world? Every year our local New Belgium Brewery has the Tour de Fat. 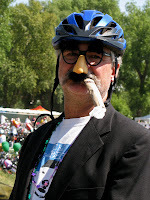 If you have never seen a crazy bike parade check it out here!